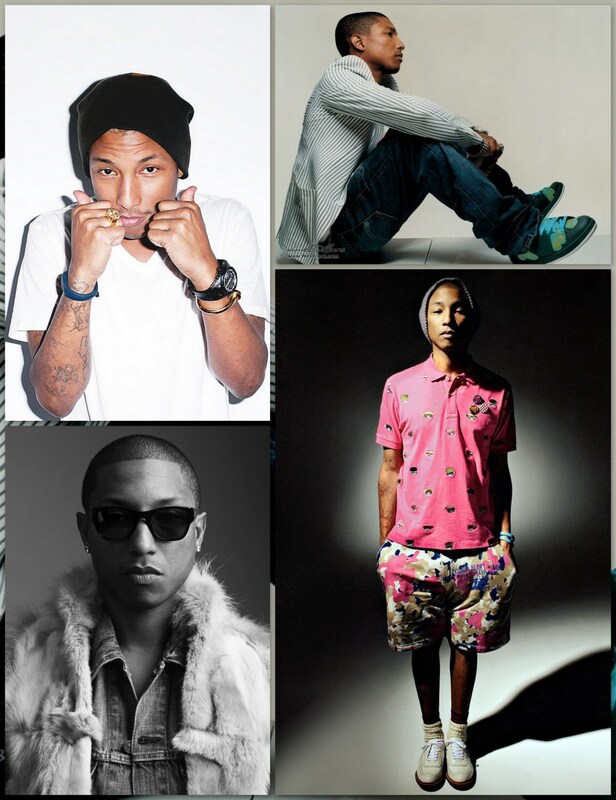 10 most memorable styles sported by the one and only Pharrell!! 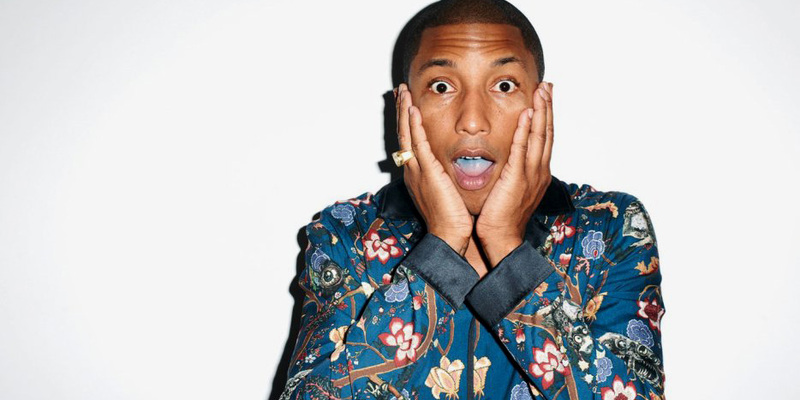 Just a couple days ago Pharrell Williams, musical genius, celebrated his 41st birthday!! Yes, that’s right… 41 years young and doesn’t look a day over 20. 2. 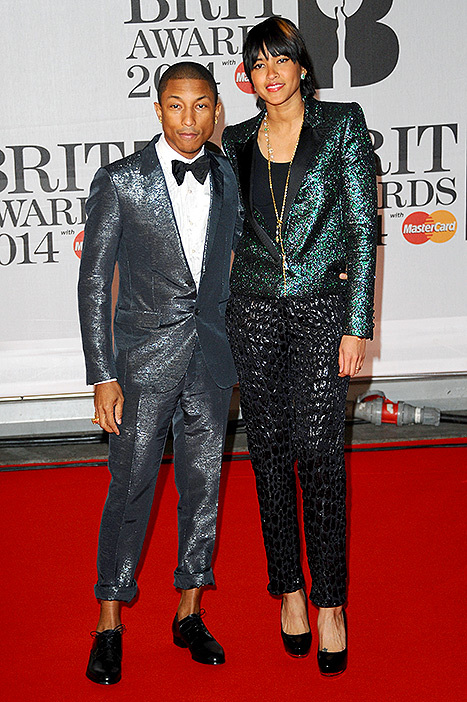 Although he was listed as a “Red Carpet Disaster” I appreciated his uniqueness in making it memorable. 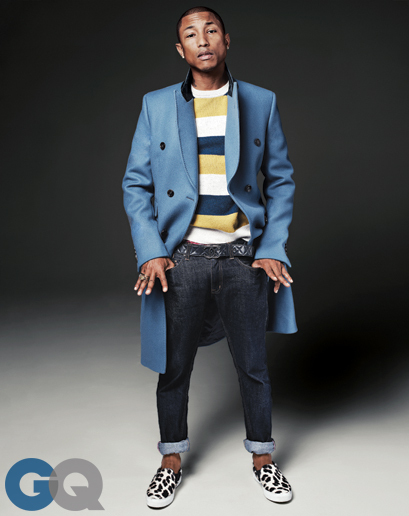 I love his BE YOU style attitude. 4. Quirky, indescribable and very much embedded to memory! 5. 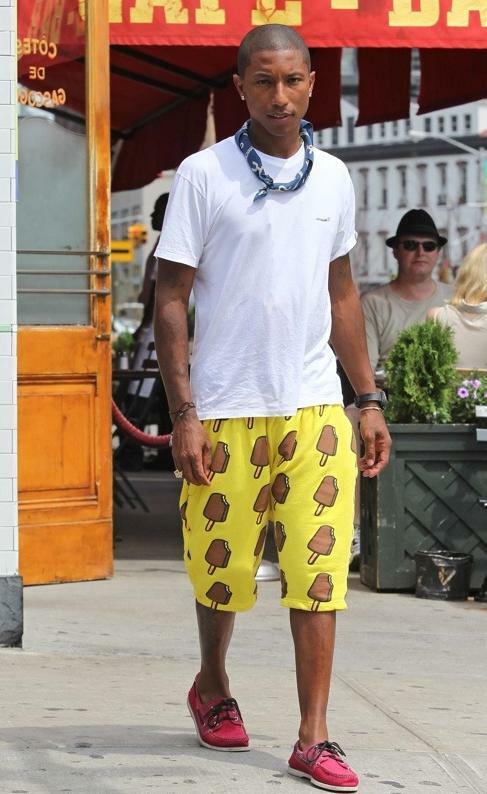 All shorts worn by him in Spring 2013 Collections by Bape and his own Billionaire Boys Club line. 7. 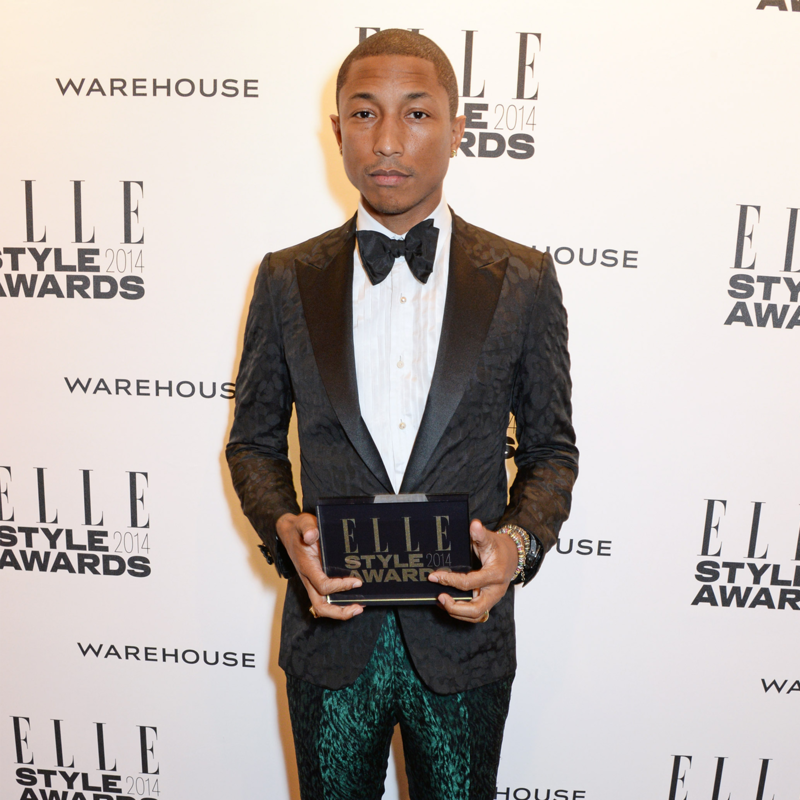 His green metallic Lanvin pants worn at Elle Style Awards in London this year. 8. 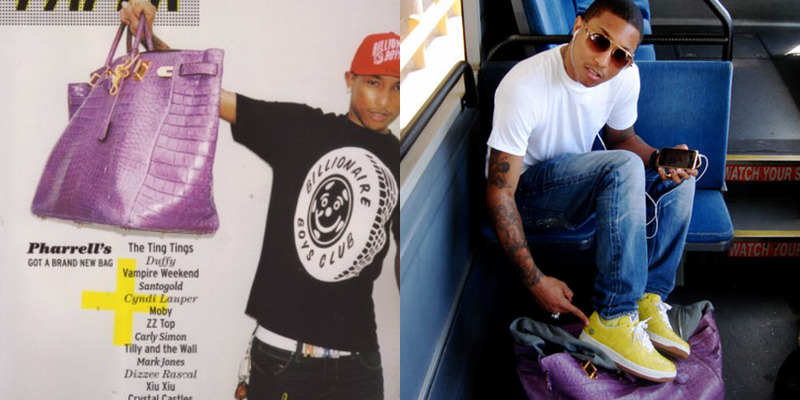 OH how I loved when he showed off his vibrant colored Hermes man bag! 9. 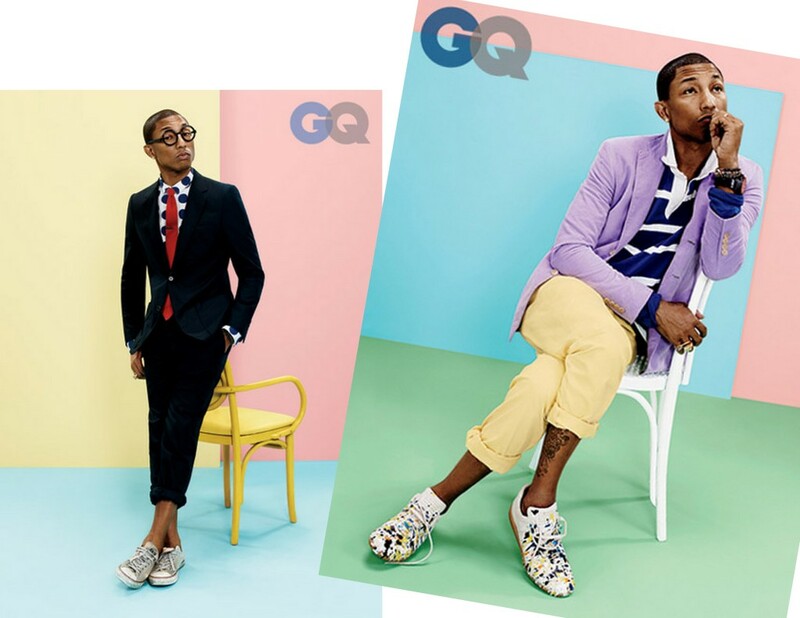 Everything in GQ from 2013 to now! 10. All that he will do for the legendary brand for Adidas!! 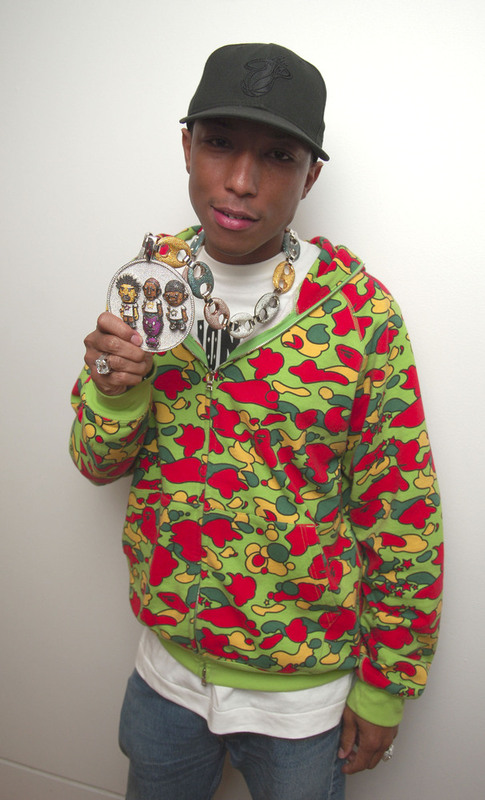 At the end of the day, Pharrell can never be forgotten. 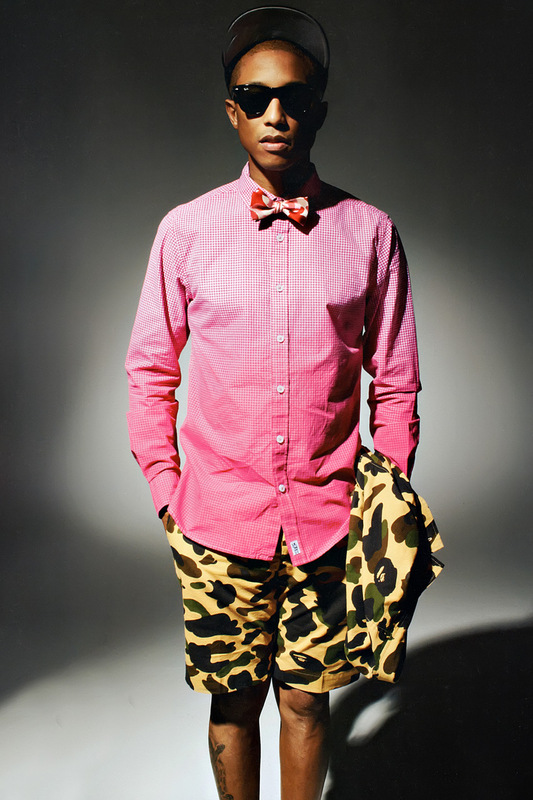 His unique beats and overall music is as wildly stylish as his clothing choices. His undeniable coolness is beyond the current and past generations. This is something that will be appreciated for years to come. He is past, present and future in all that he does. And just like his music… his style and overall being captivates you, enlightens a deeper appreciation and is never comparable.